When you think of the National Trust properties they are normally associated with don’t touch signs and not really the sort of place you’d choose to take an inquisitive toddler. Normally you’d be right. To be fair this is the nature of the properties that they own and to keep them in good condition for future generations the don’t touch signs are a necessity. To give the National Trust some credit the places I’ve visited have always had baby changing facilities and have made an effort in the form of a child playground and/or selection of books or games, but most sites are not the same as a hands-on child friendly museums. 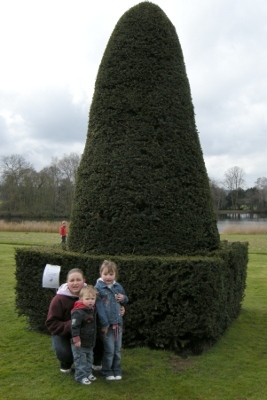 At Sudbury Hall they’ve managed to combine the splendour of a stately home with a child friendly museum, making it a day out the whole family can enjoy. We visited during a Easter weekend when as you can expect it was very busy. For a small additional charge there was an Easter Egg Trail exploring some of the trees in the garden ending with a Cadbury’s Easter Egg prize which we managed to enjoy in the brief spell on sunshine. They also had face painting for those that had paid for the Easter trail, but they were unable to cope with the number of children there. The face painting closed for lunch when we first tried, and then later we waited in the queue for over 20 minutes and hardly moved. I guess it would have been well over an hour before our children got to the front if we’d continued to wait. 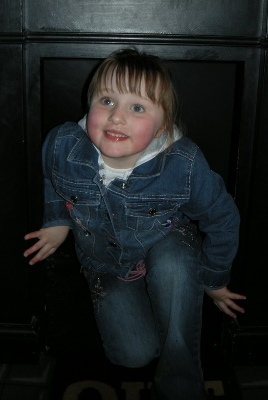 After we’d finished the Easter trail we ate in the restaurant before going on to visit the museum and the Hall. The weather worsened at this point, but one advantage of this visit is that most of it was indoors so it wasn’t spoiled by the rain. The restaurant had lots of tables and the food was pretty good. The childhood museum covers the experiences of childhood through the ages. The museum covers child labour, to schooling and toys through the ages. There are many hands-on exhibits including an opportunity to experience a little of what it would have been like to be a chimney sweep and lots of old and new toys to play with in the various rooms. The museum has a good mix of old and new exhibits and of glass cabinets versus hands-on toys to play with. The museum was very busy when we went which was most likely due to it being Easter weekend and the wet weather (as this is mainly indoors). Despite this it was still possible to have a go on most of the toys / exhibits, but it would have been better with more time to spend on them, rather than feeling you have to move on to let others have a go. As I was going around and recognising toys and games from my youth. Many of the toys were from the 1980s, but when you start reminiscing about exhibits in a museum, then you know that you are starting to show your age. We had a four year old and a two year old with us that both enjoyed the museum. The Hall is only open in the afternoon so we left looking around the hall until last. I’m not much of an expert on architecture but I do enjoy looking around old stately homes. 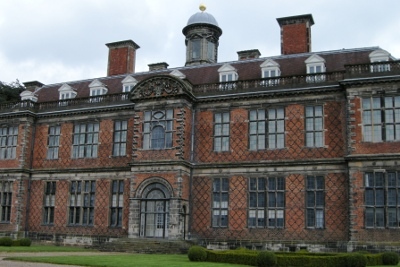 Sudbury Hall is famous for it’s ornate plaster work and decorative ceilings and as the set for the BBC television series Pride and Prejudice. Some of the plasterwork is stunning and it’s certainly worth a visit. As you expect the usual issues apply when taking young children around: no pushchairs, stairs to carry up and making sure your toddler doesn’t destroy any historical artefacts. Our older child had a go with the worksheet which had an animal theme and was quite good. A quick look around was enough for our restless toddler who was getting tired by that stage and after about an hour had had enough. Unless you are a member of the National Trust (in which case it is free) there is a separate charge for the hall and the museum, with a reduced rate for visiting both. This is a good idea as the two parts are so different in their target audience that there will be many that visit that will only be interested in going to one of them. We enjoyed both, but mainly went for the childhood museum. Older children may appreciate the hall more, but there’s not much for a toddler. It was well worth visiting and the only disappointment was the queue for the face painting which could have been planned better (eg. more staff or doing smaller / quicker face paintings). Fortunately we had some face paints at home which we used to soften the disappointment after waiting so long in the queue. This entry was posted on Sunday, April 4th, 2010 and is filed under Babies, Children, Tourism. You can follow any responses to this entry through the RSS 2.0 feed. Both comments and pings are currently closed.